When it comes to optimizing a website or blog so that it gets a lot of attention from Google and the other search engines, there are a lot of things to think about. Some of these things are really obvious, and others are obscure but nonetheless very helpful for good search engine rankings. Bold your keywords Use the bold tags around some of your target keywords on each page of the site. You do not need to use them every single time, but do use them consistently. There is a theory that bold keywords get more attention from search engines, and they also draw the visitor’s view directly, so it’s a good idea to use them for emphasis. Link deeply. Getting links to your site is great, but getting links coming in to a bunch of different pages on your site is 100% better. It tells the search engines that you have a lot of valuable content on your website, and it’s not all on the home page. When all of your incoming links go to your home page, it looks as if they’re automatically generated or that your site is shallow. In order to get deep links, you should put relevant, worthwhile content on your internal pages. Articles, services, and online tools will draw people to your site, and have them link back to it from their websites. SEO directory sites. In the United Kingdom and in Canada, there are lots of directories for company websites based in those specific countries. If you can secure a business address in one of those companies, you can also be included on the SEO directory. Social bookmarking. If visitors like your page and want to be able to return to it easily, clicking on a social bookmarking link not only helps them do that, it also helps with your search engine rankings. You’ll want to take advantage of a widget that you can add to your page or blog so it’s easy for visitors to bookmark you. These are some of the most popular social bookmarking sites: Digg, StumbleUPon, Reddit, Squidoo, Blinklist, and Blogmarks.net. There are literally hundreds more. Newsletters and articles for ezines. Ezine publishers sometimes archive their ezines, and the links to your site might remain active and feeding your site traffic for many years. Text links should always be first in the source code for any pages on your website. Sometimes websites will have image links in the navigation bar, but there should always be text links first as the search engines will only follow the first link they hit on for each page. Also make sure that those text links are relevant and valuable to your site. Multiplicity. If you have one website, why not two? If you have a number of different topics that could each fill up an entire site on its own, it might make sense for you to have more than one domain. 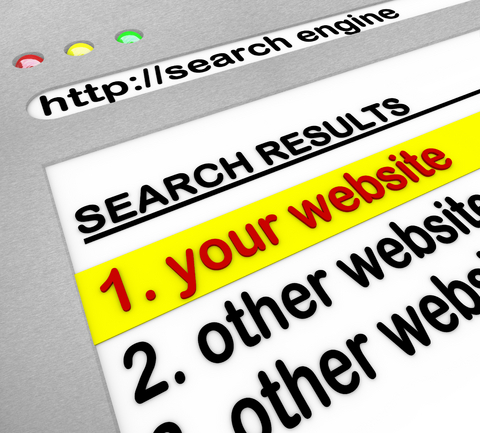 Wouldn’t it be great to come up first AND second on a search for your particular product or service? Plus, you can list both of your sites on the directories for more traffic. Exchanges. No, not the tired and pretty much worthless link exchanges, but rather exchanging articles with another site. You can publish an article on your site that is relevant and worthwhile to your readers, with a link back to the other site. They will also post your article on their site with links back to you. Fresh content for both sites, and high quality links for both sites- a win/win situation for you both! Title your links. This helps readers to know where you are sending them, and also is figured into the page relevancy by some search engines. Overdoing the anchor text is not a good thing, because it looks like it’s automated. You should change it up; use the company name, what your product is, sometimes your URL. The key is to keep it changing consistently. Your anchor text should be something descriptive of your site, or your company name or website address. Use a site map if your site is big; link to it from every single page on the site. Search engine robots can then find all of your pages quickly and easily for indexing. Even smaller sites need a miniature site map, the navigation bar, for search engine reasons. 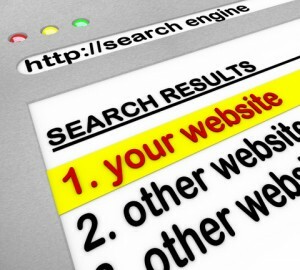 For more information on optimizing your site, check out your seo marketing checklist.